WE TV, a part of AMC Networks, celebrates women -- their lives, their issues, their hopes and their dreams. 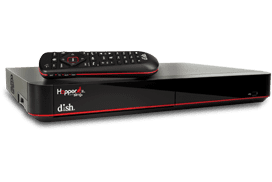 With some original programming in the form of talk shows and made-for-television movies, the DISH Network satellite TV channel features a number of syndicated dramas and comedies. The network regularly airs older movies as well. Thematically, programming is selected to appeal to women or to explore their lives and issues.